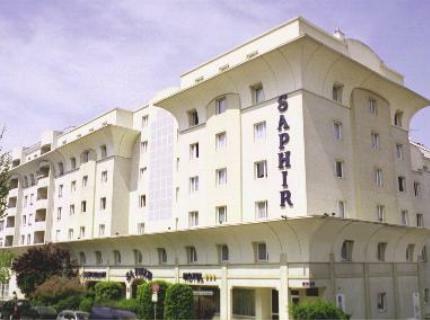 The Best Western Saphir Lyon is located in the heart of Lyon. Easily reachable from the motorways, it only takes ten minutes to drive to the train station Perrache. The historic old city center and shopping area are only one metro station away. Discover and enjoy our spacious rooms, all equipped with a comfortable bedding, air-conditioning, satellite television, WIFI (fees), with bathrooms and hairdryers. All the rooms are in a quiet area or on the hotel's courtyard. The Best Western Saphir Lyon provides five large meeting rooms for up to 150 people, fully equipped and air-conditioned, most meeting rooms have daylight. The best address to make your meeting unforgettable An American buffet breakfast is served at the restaurant les Tournesols from 6.30 a.m. to 10:00 a.m. Our restaurant Les Tournesols welcomes you in a warm and friendly atmosphere. Our chef proposes a fine traditional French cuisine with his variety and seasonal buffets. Discover every day a new theme: terroir, Tartines, salads and seafood. In the bar Les Iris you can enjoy your drink in a comfortable atmosphere.